Occasionally, we get the pleasure of being a part of a photo shoot. 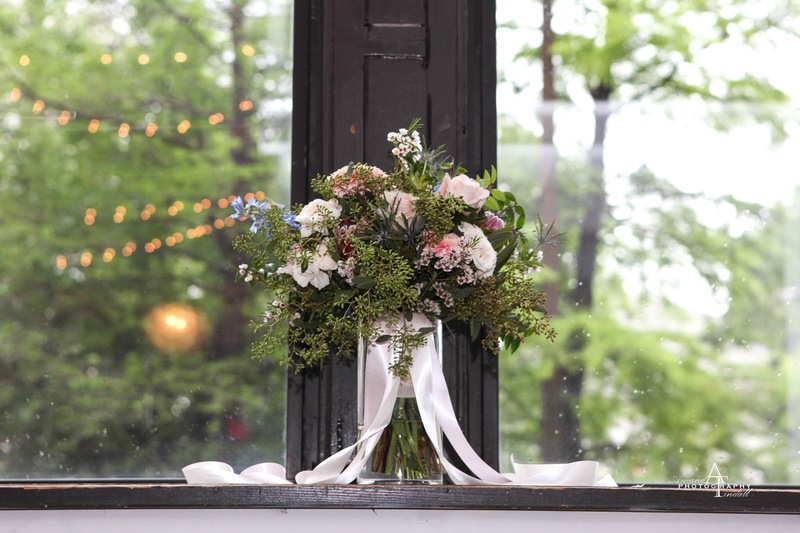 This time, we worked closely with Blue Bicycle Weddings to design these flowers with a bohemian style. Lots of textures and floral touches made this romantic look come together. Photos by Amanda Tindall Photography. 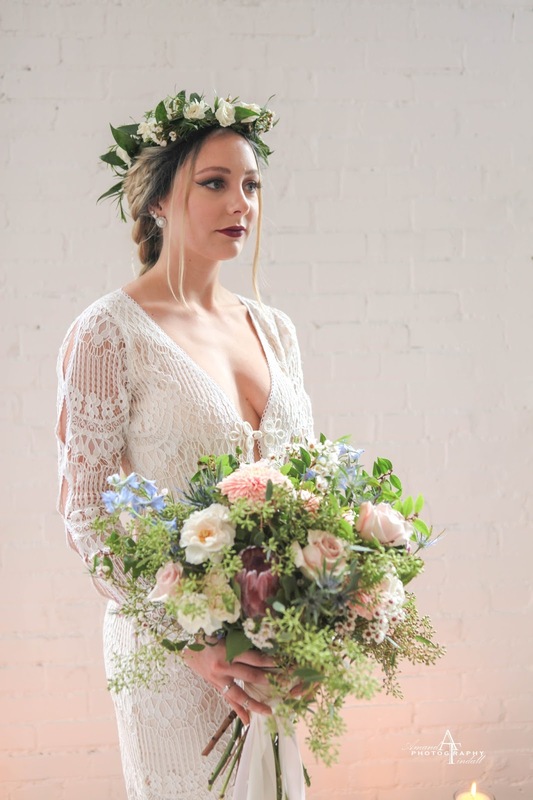 Our boho inspired bridal bouquet was full of natural, draping elements mixed with interesting blooms. 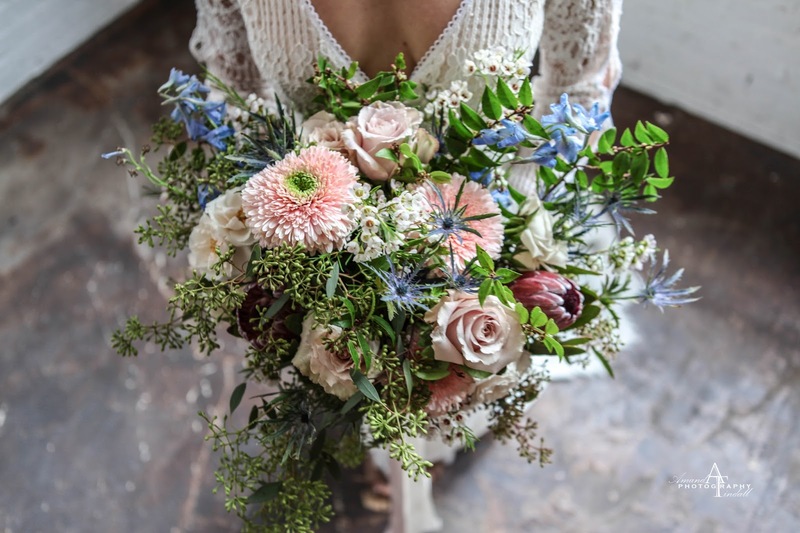 The boho bouquet featured roses, gerrandos, blue thistle, delphinium, and protea. 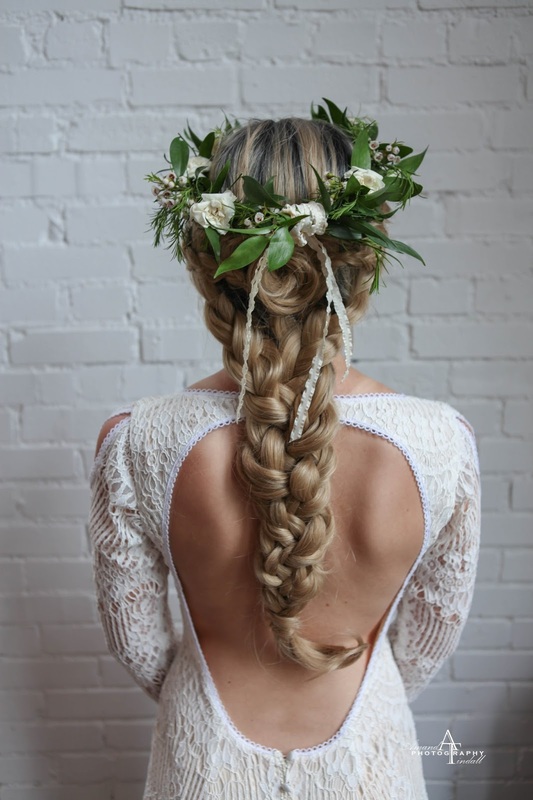 What bohemian wedding would be complete without a beautiful head wreath?! The flower crown was composed of roses, waxflower, and mixed greenery. 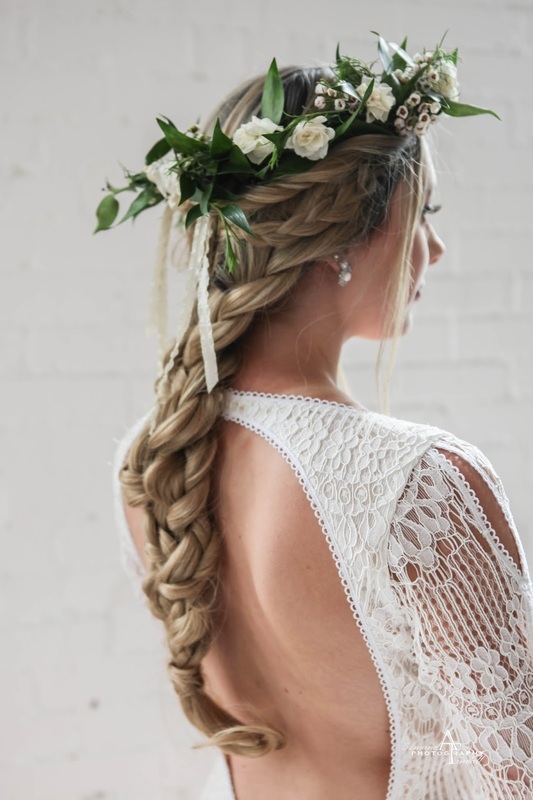 The complete bohemian wedding day look! 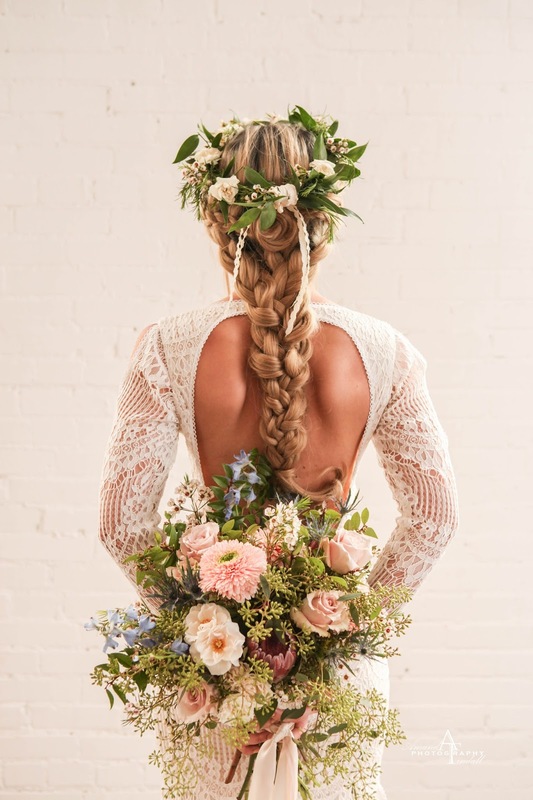 We enjoyed designing for this bohemian wedding photo shoot and are excited to make this a reality for any bride who loves the soft, romantic textures this look can bring.